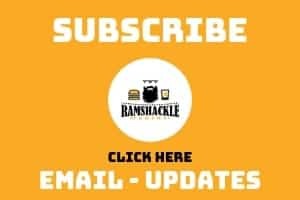 July 12, 2017 (Last Updated: April 6, 2019) - As an Amazon Associate I earn from qualifying purchases. This Enchilada Sauce recipe is so easy and ten times better than the store-bought stuff. Chili flavors with a tomato base in this recipe to help you make the best enchiladas ever. An enchilada’s sauce really can add depth and flavor. 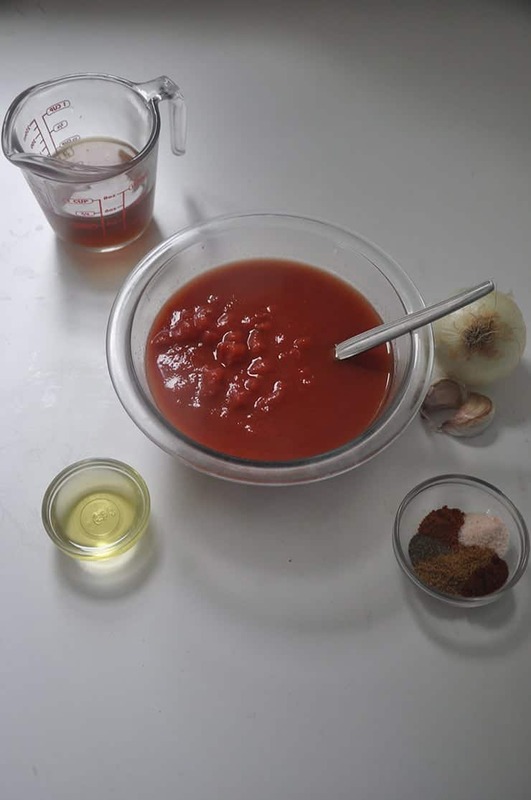 As previously mentioned, the word “enchilada” originates from the word “enchilar”, which literally translates into “to season with chili.” A great enchilada sauce recipe can bring the spirit of the dish forward. 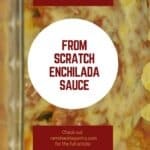 Today we are going to share a great enchilada sauce recipe. I don’t think that an enchilada sauce recipe needs to be tomato based. As long as it adds a chili element to the dish, it fulfills its duty as an enchilada sauce. I briefly considered going down the route of creating a great enchilada dish that was not tomato based, but nostalgia kicked in. Ever since I started eating Mexican food as a child, I associated a red sauce with tomatoes. While a simple chili based sauce would be appropriate, I decided to keep with the feels of my past. A tomato base was appropriate for me. 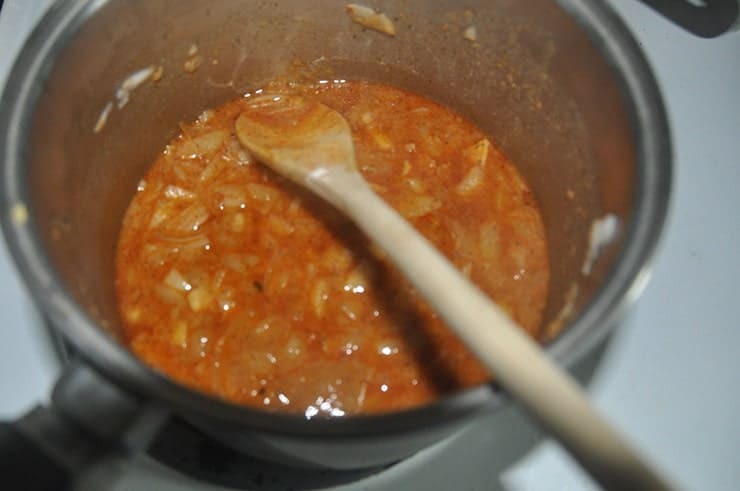 Tomato is the base, but the spices are the important part in an enchilada sauce. I thought about using a fresh jalapeño or green chili pepper in this recipe. The decision was made to leave it out, as I already added a jalapeño in the slow cooker shredded beef recipe I am using. Instead, I decided to use some cayenne pepper and some dried chili flakes that we made at home. If I were to replace what I used with a fresh pepper, I would add a diced chili pepper to the sauce pan at the same time as I do the onion and garlic. Welcome to flavor town. 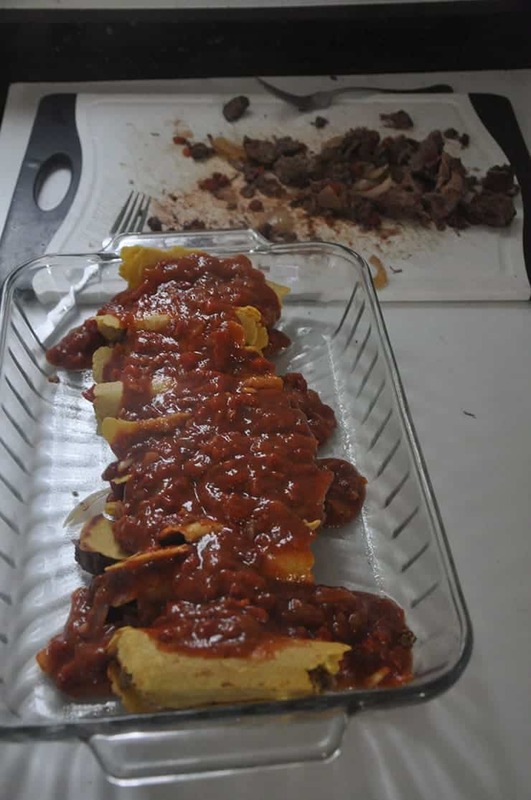 The corn tortillas and shredded meat that we previously made could stand on their own as a tasty meal, but the sauce really complements the meal and makes them enchiladasl. I felt the spice was appropriate for my Norwegian taste buds and not too hot. 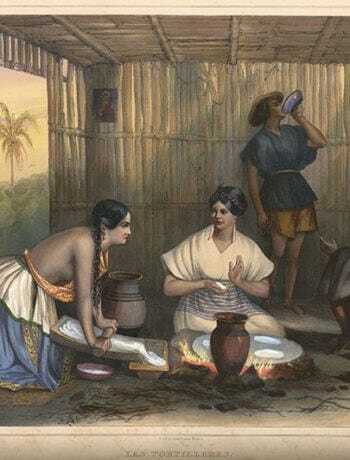 It did still added a zing that I expect from Mexican food. 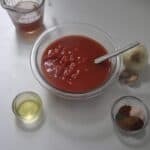 I think it would be interesting to explore non-tomato based sauces, but this is a really good recipe. Overall, I really ended up with a sauce that I think is great. It adds that chili flavor. 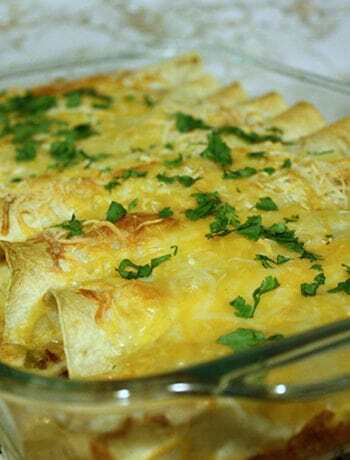 It adds a richness and flavor to the dish that help make a great enchilada. This is a simple and easy tomato enchilada sauce recipe that is great for any Mexican dish, but great for our enchiladas. Okay the enchiladas look fabulous. Think I will have you make my sauce for me!